Originally designed in 1914 by French architect Claude Sahut, Hotel B evokes a glamorous sense of nostalgia with its rejuvenation combining contemporary style with traditional touches. The 18 rooms and suites are spread across the historic mansion as well as a new, contemporary wing. 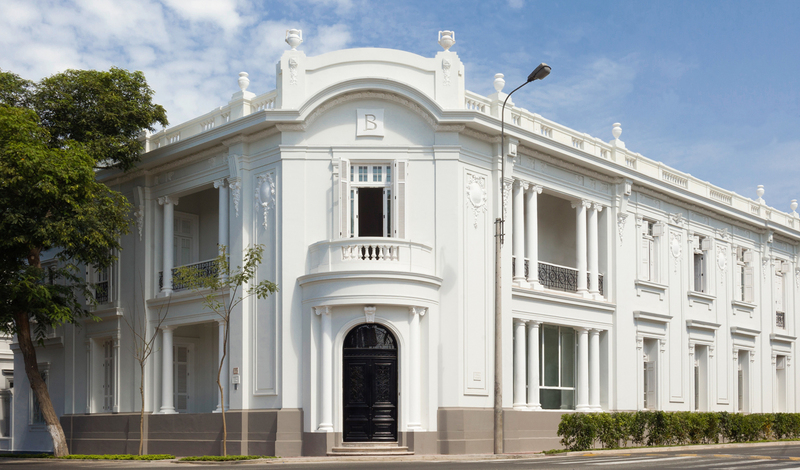 In Lima’s hip Barranco neighborhood, a stay at Hotel B is guaranteed to fully immerse you in the city’s contemporary social and cultural scene. 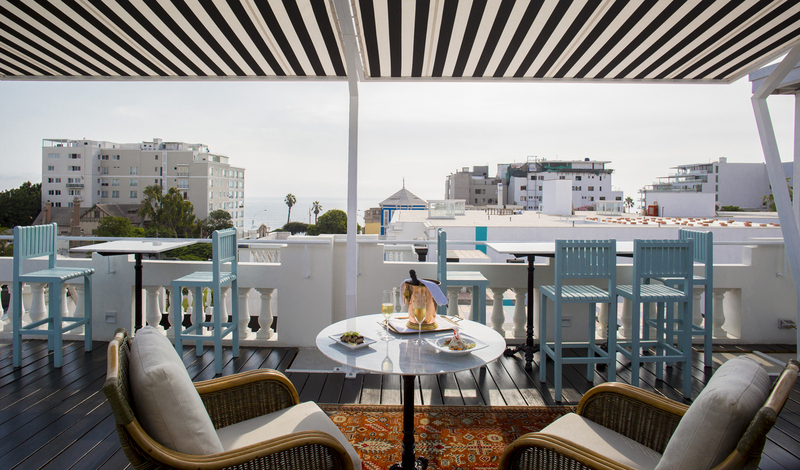 On a prominent corner by the sea in Lima’s historic Barranco district, you’re well located to explore the rest of the city. With a bohemian, quirky feel, there are plenty of historic houses, boutiques, restaurant, museums and galleries nearby for you to enjoy during your stay. A 30-minute drive from Jorge Chavez International Airport, all transfers can be arranged for you, so all you have to worry about is stepping off the plane. There are three fantastic room types to chose from, all in a style that harks back to the 1920s, but with a contemporary twist. and artistic flair. Expect super-soft beds and neutral tones to help you relax and unwind amid the bustle of the city. We’d recommend an Atelier room which boasts a private foyer or balcony overlooking the boulevard. Hotel B is one for the art buffs. Surrounded by art galleries and studios, including Mario Testino’s famous MATE Museum, it even houses a unique art collection of its own. Guests can enjoy a private viewing, special events as well as exclusive access to Lima’s emerging art scene.